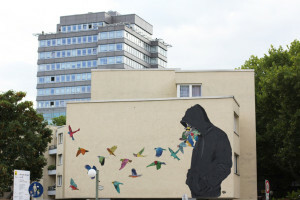 Franco-German TV network ARTE filmed the painting of the Fintan Magee Berlin Mural Cycle of Life for Urban Nation in Berlin. The mural is 42m high by 15m wide and working on such a large scale is a challenge for Magee. In order to help get the proportions of the piece right he marks out a grid in chalk before creating an outline with spray paint that he fills in with acrylic house paint. 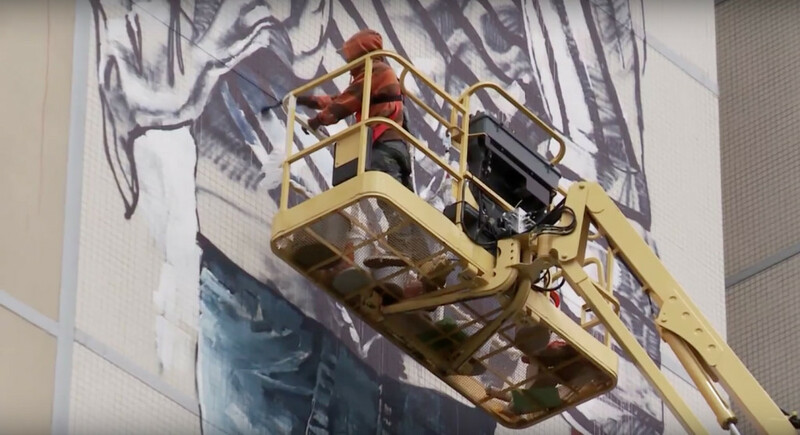 Completing the 630 square metre mural takes 13 days and it’s clear from the video just how much effort that requires. 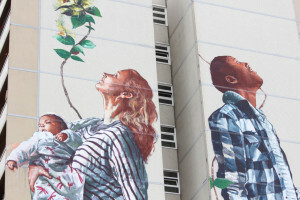 You can see my photos of the artwork in the post Fintan Magee Cycle of Life Mural for Urban Nation Berlin. 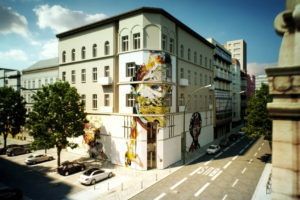 Want to see the Fintan Magee Berlin Mural, Cycle of Life, for yourself? Head to Neheimer Str. 2 in Berlin Reinickendorf. I’m just in awe at this kind of talent..!